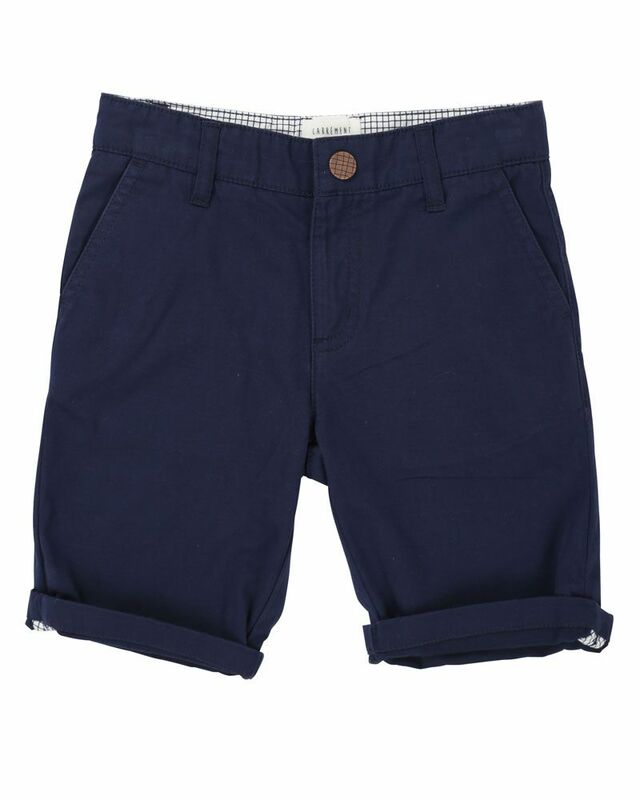 Carrement Beau navy twill chino bermuda shorts with adjustable waist and piped pockets at the back. 100% Cotton. Imported.